Our thanks to Yuransky for his art layout above and John Rippo of Expresso Newspaper for printing images and bio of each of the artists. Our thanks to Ann Berchtold and SanDiegoArtists.com for full coverage of the artists. Tom Noel and Larry Baza made the choices of works by these artists spending hours to showcase each artists so they could be seen in the best possible light. The SD Art Prize is extremely grateful to them both for their efforts on our behalf. We hope our readers support this exhibition with your attendance and purchase of the works by these up and coming creative talents. New Contemporaries II is an extremely varied exhibition with thirteen different takes, visions or statements on 21 st century life, important enough to be made into visual art by thirteen artists living and working in San Diego County. This show comes together not in the traditional manner in which a show is curated by one or more curators or gallerists around a central theme or a specific art form. Instead, the artists showcased in New Contemporaries II were nominated for the San Diego Art Prize, a project of the San Diego Visual Arts Network. The artists were selected by professionals for the quality, excellence and the promise of their work in the “Emerging Artists Category.” The nominators included other artists, gallerists, a curator, art collectors/patrons, an art critic, and arts administrators. Essentially, this exhibition provides viewers with a great opportunity to experience a microcosm of the high quality of art being made in this region by thousands of artists. Noel-Baza Fine Art is pleased to host New Contemporaries II which affirms our belief in the fine art being made by local artists. We are sure that viewers will have the chance to be delighted, challenged, dazzled, and provoked by the variety of art put forth by these artists. Our following brief comments on the work of each artist hopefully will encourage you to read each artist’s statement about their work which will enhance the experience and dialogue you have with each work of art. Tania Alcala’s paintingspresent the essence of color. David Adey’s work, both three-dimensional and mixed media, reconstructs Amercan icons. Michele Guieu’s thought provoking work on her life and ours has a cinematic quality. Keikichi Honna comments on contemporary life with humor and an absurdist bent. Omar Pimiento continues the dialogue on the Mexico/U.S. Border with Lady Liberty and Libertad. Marisol Rendon makes social commentary with light and shadow. Daniel Ruanova’spainting and three dimensional work challenge the viewer with an aggressive declaration. Tara Smith’s paintings involve scale and proportion creating tension between huge trucks and humans. Matt Stallings’narrativeportraitsexpose American icons. K.V. Tomney provides us with glimpses of mid century America with reflected light and elegant line. Jen Trute’s masterful and operatic paintings warn of the growing scourge upon the natural environment. Gustabo Velasquez creates three dimensional tableauxusing discarded “left-for-dead objects.” Yuransky the founder of a new philosophy of painting, Zedism, presents his unique mathematically based vision. One of the most exciting aspects of this show will be watching the trajectory of each artist’s career as it moves forward. 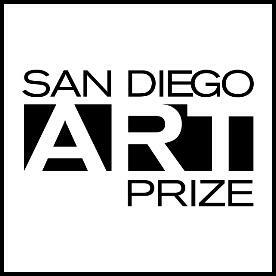 We offer our sincere thanks to the all of the Artists, the Nominating Committee, Patricia Frischer, Ann Berchtold, and the San Diego Art Prize for the opportunity to host this exciting exhibition. Mil Gracias/A Thousand Thanks to our family for their work to make this show happen: Marc Baza, Gigi Cantin, Mary Cunningham, Sarah Garcia, Evelyn Mitchell, and Pierrette Van Cleve. We are highlighting the SD Art Prize: New Contemporaries featuring Artist nominated in the emerging category for the SD Art Prize 2009 and we hope that many of you will attend the reception at Noel-Baza Fine Art and see the exhibition. There is a wide range of mediums represented as well as a range of age and experience. The most important point is that not all these names are known to all of us. We are celebrating the excellence of these artists and the high quality of the artwork nominated. 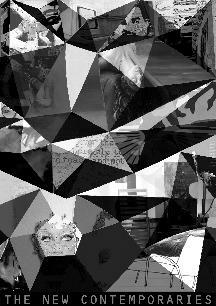 We encourage you to see some of these artists with more indpeth exhibitions. Watch for the following shows during 2009.